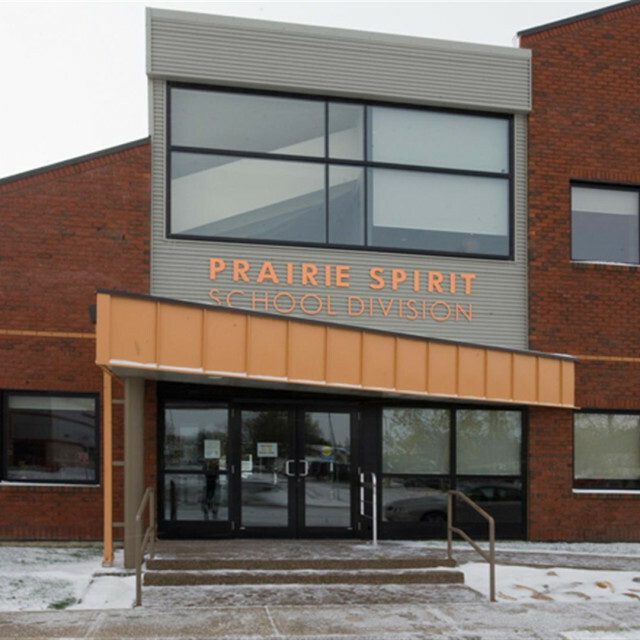 Prairie Spirit School Division is an amalgamation of three rural school divisions surrounding the city of Saskatoon. 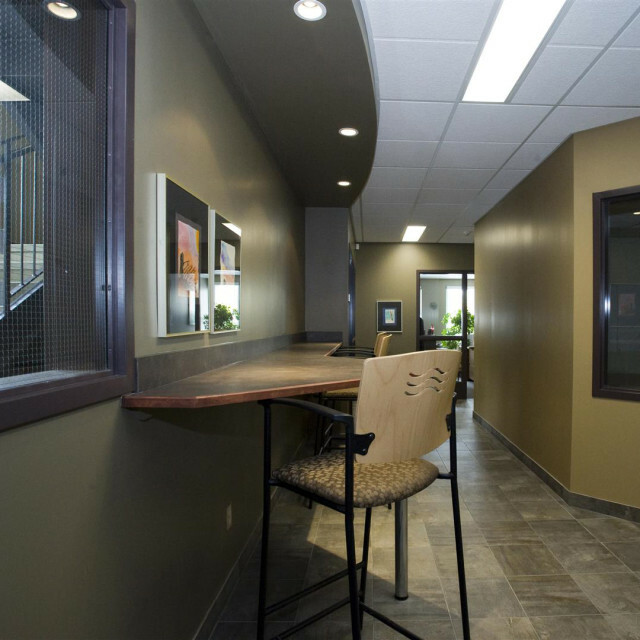 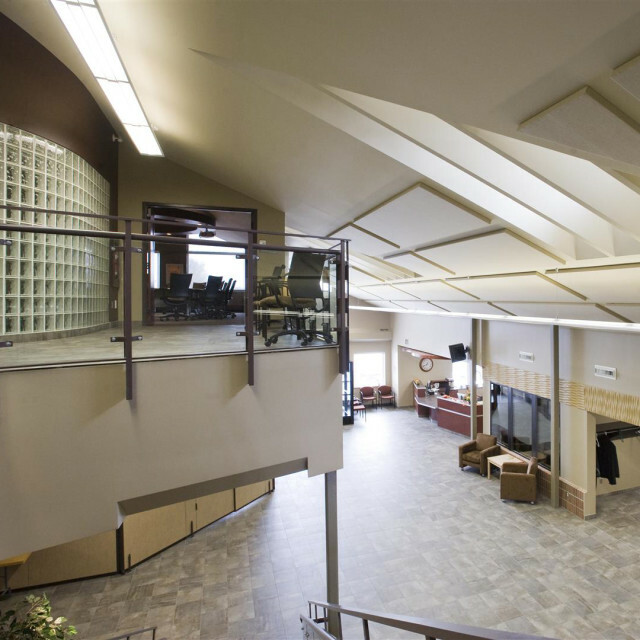 This renovation and addition project aimed to retain the Warman facility yet create a “new” faculty for the “new” school board. 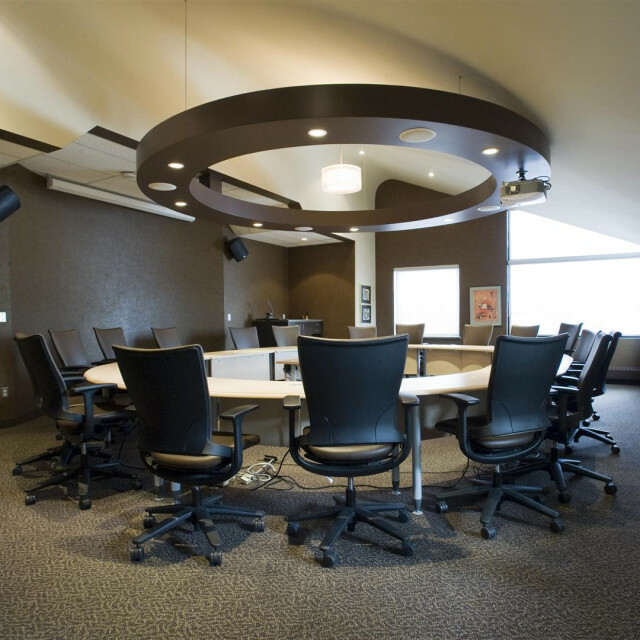 The building features a variety of meeting rooms for all types of gatherings—informal, small/large, private, flexible, and the variety is expressed in colours and materials as well as size and character. 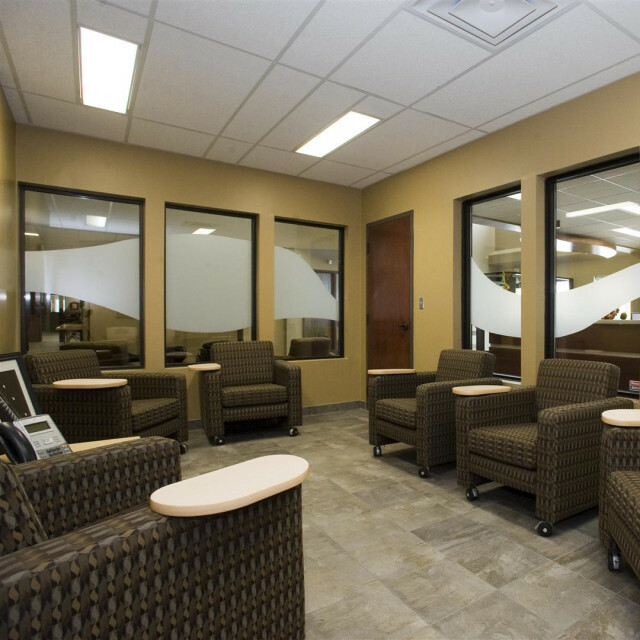 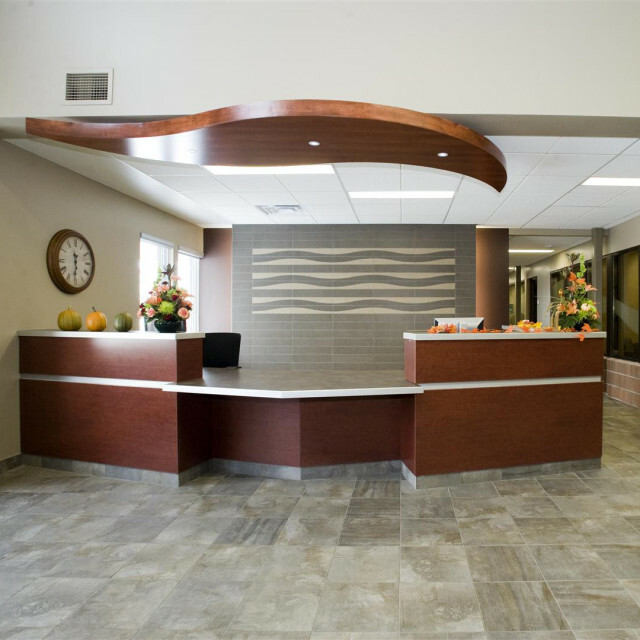 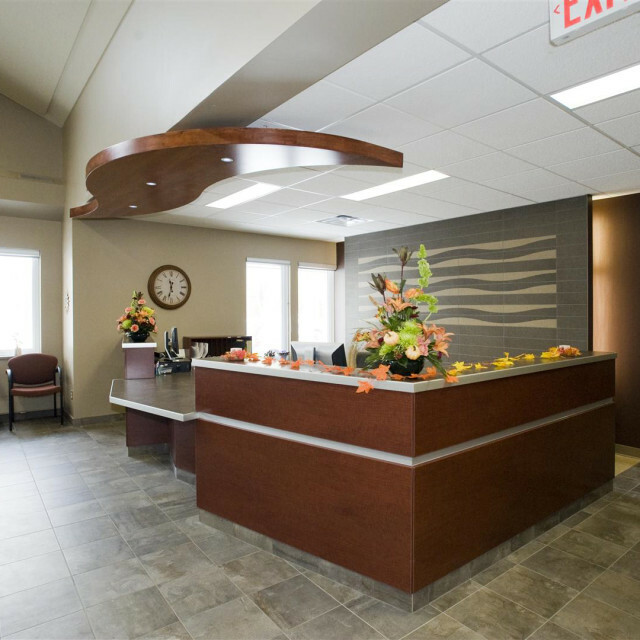 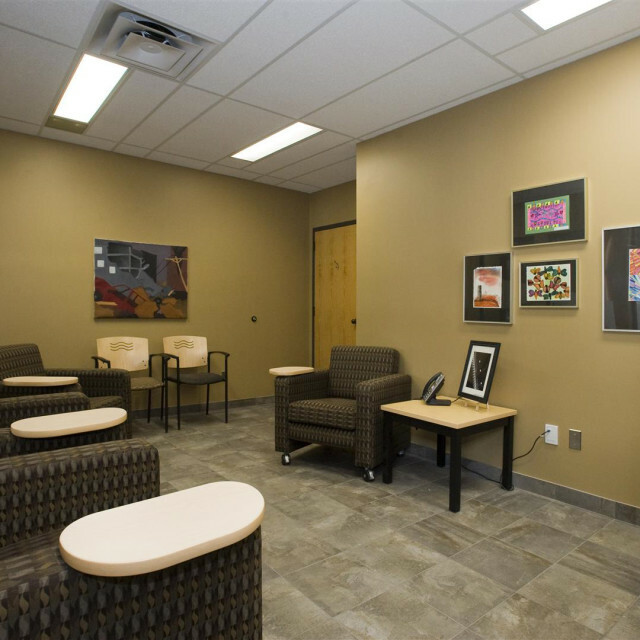 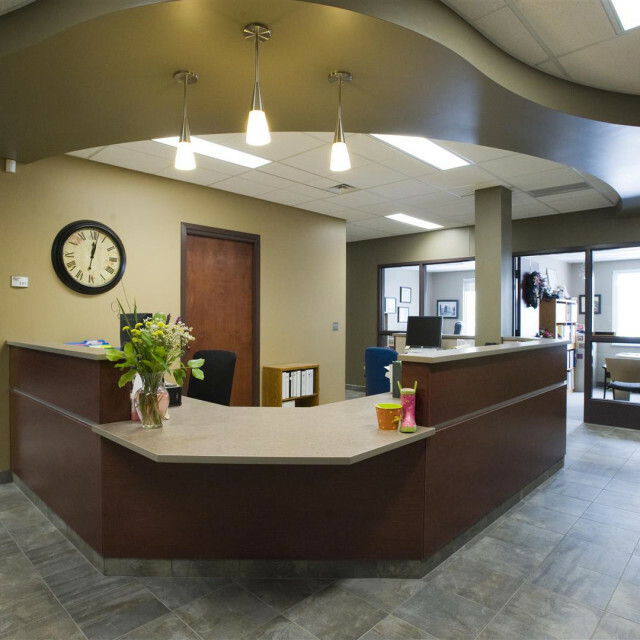 A common area that joins the new building to the existing is the focus of the building. 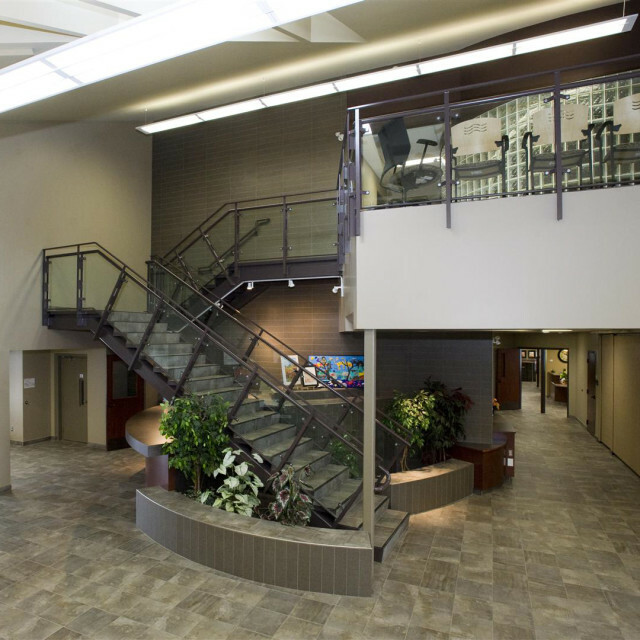 The open staircase acts as a bistro space (an extension of the adjacent staff room) as well as student art display area. 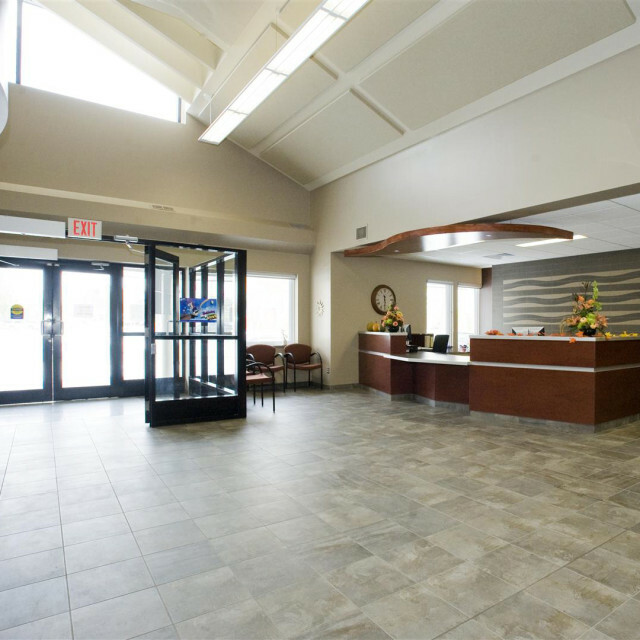 The existing brick was extended to the new building for continuity, with new metal siding and brick detailing to update the overall aesthetic. 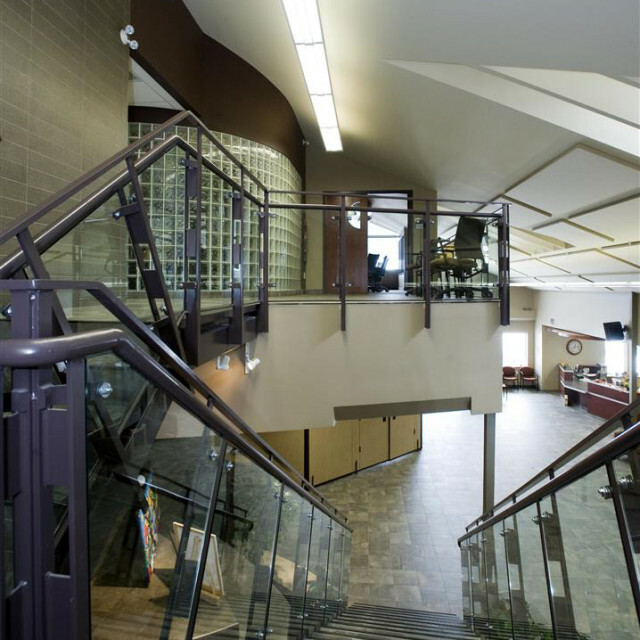 The triple clerestory windows are also used to reflect the three school divisions the building represents.